She kicked off the month by hosting her mother Carole 64th birthday party at her Chelsea home, with sister Kate among the VIP guests in attendance. And Pippa Middleton continued the celebrations as she attended The British Heart Foundation’s annual ‘Beating Hearts’ Ball at the Guildhall in London on Wednesday. 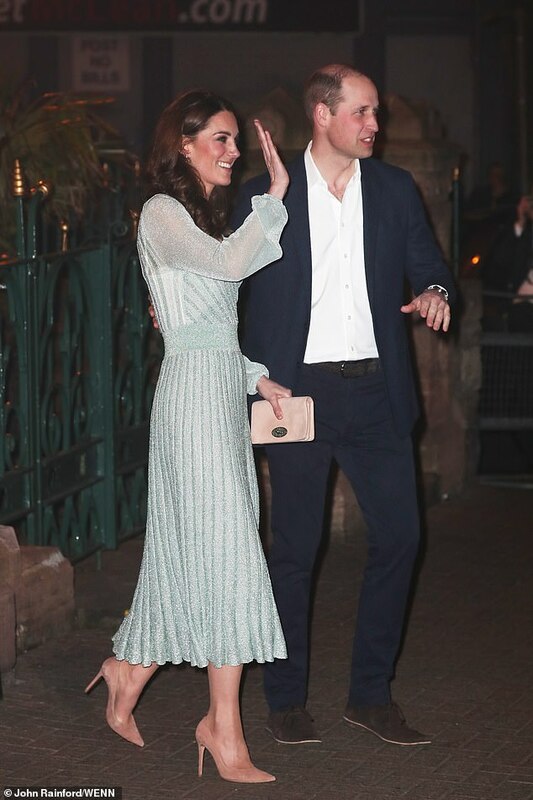 The Duchess of Cambridge‘s younger sister, 35, wore a £1,995 Alice Temperley dress for the occasion, arriving with husband James Matthews, 43, though they did not pose for pictures together. At the same time, sister Kate was pictured attending a reception at Belfast’s iconic Empire Music Hall, wearing a 1,590 Missoni metallic-knit wrap dress. Pippa’s high neck dress featured a black bow and matching waistband, along with puff ball style sleeves. The patterned frock fell to just above the floor, and she teamed it with a red velvet clutch, injecting a further splash of colour. Opting for neutral nails and minimal make-up, Pippa wore her hair in a halo braid as she posed for pictures before heading into the event. James Matthews, older brother to Made In Chelsea star Spencer, was seen greeting fellow guests in the background, dressed in a crisp white shirt, suit and bow tie. Pippa married financier James Matthews in May 2017, and their first child – Arthur Michael William – was born in October 2018. The pair live together in Matthews’ sprawling Chelsea mansion, which they renovated ahead of their son’s arrival. Pippa is attending the ball, held at the The Guildhall in the City, as the charity’s Honorary Gala Chair and BHF Ambassador. The glamorous event, which last year raised £285,000 for charity, will welcome 400 guests including an array of celebrities, and will be hosted by Vernon Kay. Guests will enjoy a three-course meal before taking part in an auction, and the night will end with performances from Louisa Johnson and The Mac Twins.